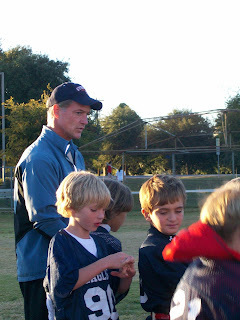 This week, Little Man's team played a third-grade football team coached by former Dallas Cowboys player, Daryl Johnston. Why is it that as (some) men age they just get better looking. And women just get... old. 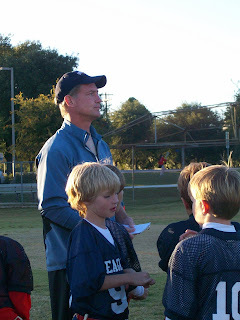 Here is a shining example of the Cary Grant/George Clooney syndrome of a man just getting better looking with age. The moms on our team all came dressed so much nicer than usual. And wearing lipstick.